Is green tea really all it’s hyped up to be? We’ve all likely heard about a wide range of green tea benefits, but which ones are true and which ones are old wives’ tales? And for that matter, why is green tea any better than white, black, or red tea (and what&apos;s with all the Christmas colors in tea)? We checked in with our experts and uncovered a host of benefits of drinking green tea that will answer these questions and more. Technically speaking, green tea comes from the same plant as white, black, and oolong tea – Camellia sinensis– a plant native to Asia. Two major varieties are grown -- Camellia sinensis var. sinensis for Chinese teas, and Camellia sinensis var. assamica for Indian Assam teas; the former was the first tea plant to be discovered and is the source of most green teas on the market. So, if all of these different teas hail from the same plant, what makes them so different, and why does green tea always seem to come out on top as far as health benefits are concerned? The answer has a lot to do with how the different teas are processed. While white tea is only minimally processed, both oolong and black teas are more fermented. Green tea is somewhere between the two, as naturopathic doctor Serena Goldstein explains. “Green tea leaves are quickly heated and minimally oxidized so they can still retain their green color, while black tea leaves are heated and allowed to fully oxidize to turn them into a color along the black spectrum (e.g. amber, red-brown),” she says. So if oxidation is the only thing differentiating a white tea from a green one, what’s all the buzz about green tea about? While there are benefits to all teas, from white to black, green tea boasts a few compounds in higher concentrations than these other teas, namely Epigallocatechin Gallate (EGCG). Alongside polyphenols, other catechins, and flavonoids, this antioxidant lends much in the way of benefits to the overall makeup of green tea. 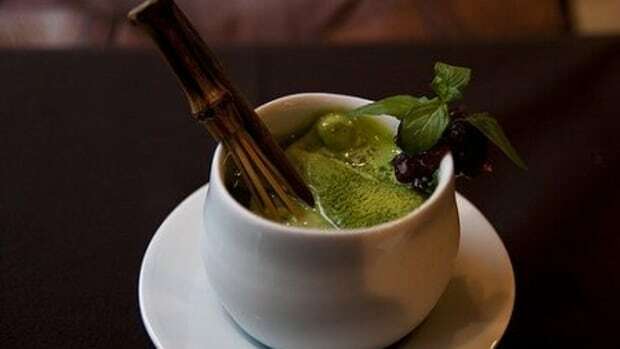 With this unique cocktail of antioxidants, green tea has a lot to offer. 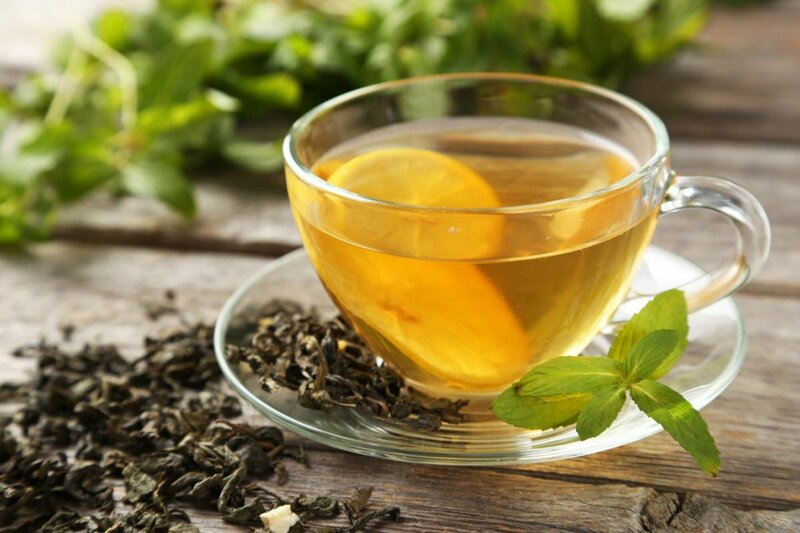 The flavonoids in green tea are powerful soldiers against viruses as well as both specific and general inflammation. Inflammation can exacerbate other health problems and cause a vast number of seemingly idiopathic symptoms that seem nearly impossible to cure. Increasing flavonoid intake can decrease the effects of inflammation and even prevent against certain chronic diseases and problems including allergies, immune system disorders, heart disease, and depression. A combination of factors makes green tea great for your mood. Caffeine enhances both mood and energy, while theanine helps with anxiety and stress. “L-theanine can help support brain health and lower anxiety due to supporting GABA (inhibitory neurotransmitter) production,” says Goldstein. Plus, the flavonoids in green tea boost relaxation and help keep anxiety at bay, according to Cate Stillman of Yogahealer.com. Referencing a study in the Journal of Trends in Food Science & Technology, she explains that theanine increases all-important alpha waves in the brain. "Alpha waves are considered to be an indicator of relaxation," she says. 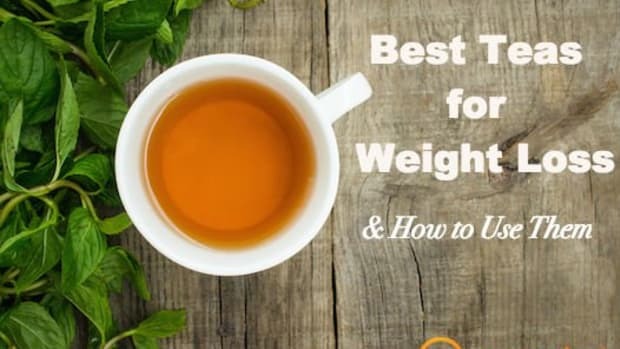 While green tea alone will not make you magically drop the pounds, some elements of green tea can help with weight loss. 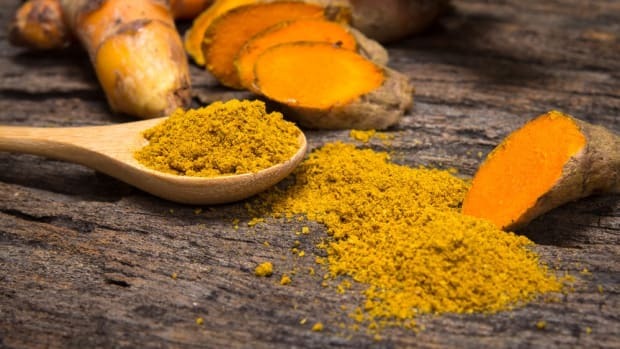 The major component is EGCG, which, according to Bryce Wylde, an expert in alternative medicine and the medical advisor for the Dr. Oz show, can increase metabolism by up to six percent. Along with the caffeine of green tea, which can improve performance during workouts, EGCG is a major element of green tea&apos;s weight loss benefits. Different studies have shown a link between the consumption of green tea and a reduced risk of cancer. One study showed that increased consumption of green tea was directly linked to a reduced risk of stomach cancer in women. 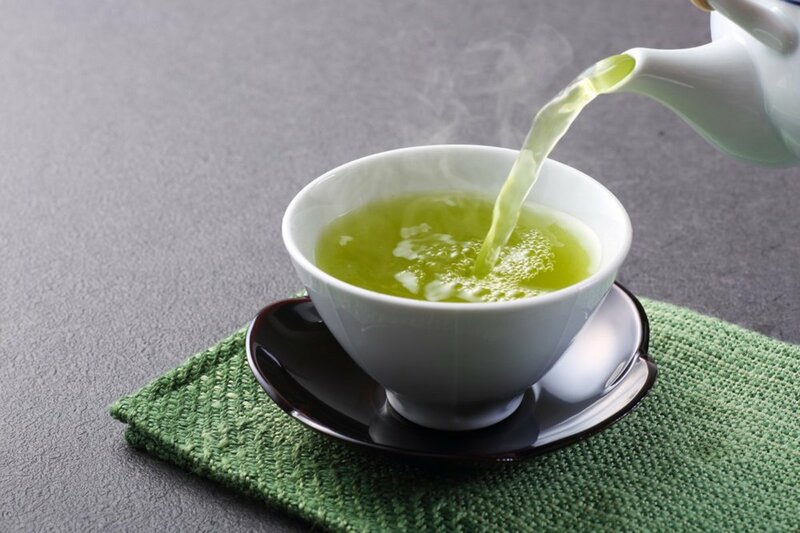 The National Cancer Institute attributes these benefits to several characteristics of green tea, including its polyphenols, particularly EGCG and ECG, which "may protect cells from DNA damage caused by reactive oxygen species." For those who suffer with blood sugar related problems, green tea can be a great, natural solution. 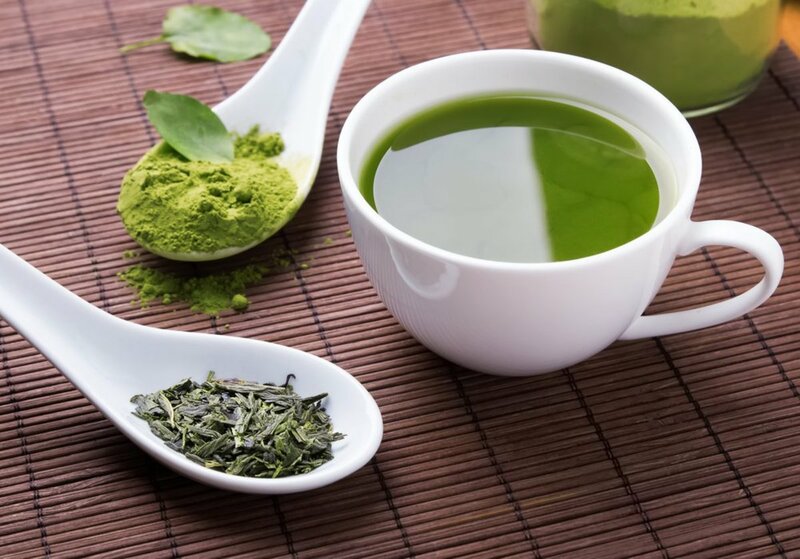 One study published in Molecular Nutrition & Food Research showed that green tea may reduce the spike in blood sugar that occurs after eating starches, and another study in the American Journal of Clinical Nutrition showed that green tea could decrease fasting glucose in some patients. A study in Western University of Health Sciences showed that participants in a study had lower LDL levels when green tea consumption was increased. 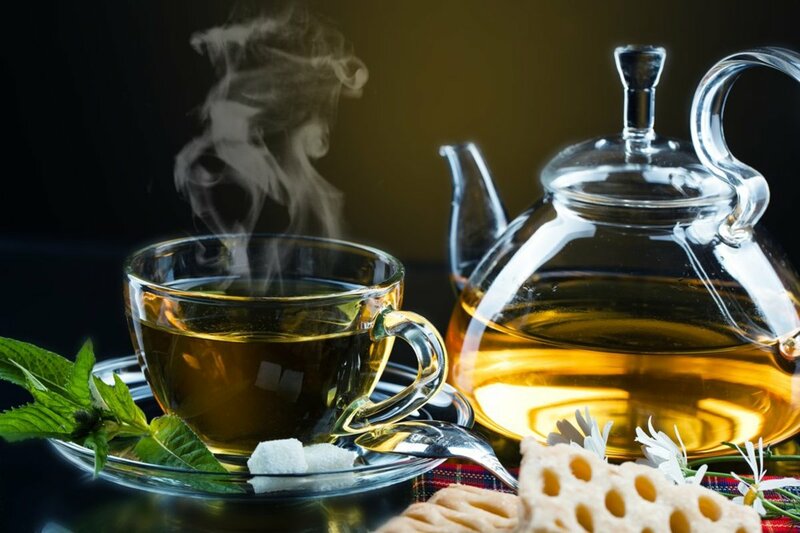 Other research has shown that both total and LDL cholesterol can be lowered when green tea is consumed, thanks -- once again -- to its EGCG contents. Green tea can also be great for brain health. Research presented by the Kanazawa University Graduate School of Medical Science in Japan at Alzheimer&apos;s Disease and Parkinson&apos;s Disease Conference showed that consumers of green tea had slightly higher scores on cognitive tests than those who did not. 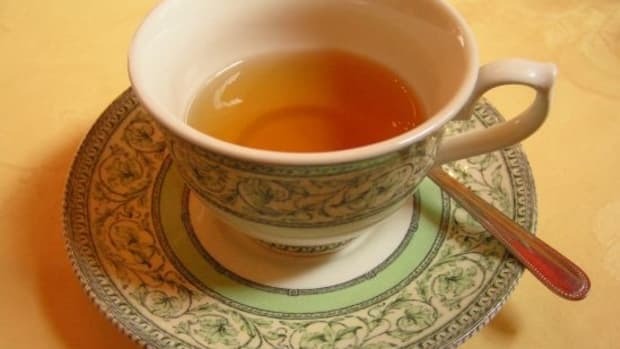 This evidence has led some to believe that green tea consumption may ward off or delay dementia. Alongside all these great health benefits, green tea also boasts a few beauty benefits that can&apos;t be overlooked. “Antioxidants help &apos;clean up&apos; the free radicals that can contribute to skin conditions,” agrees Goldstein. “Ultimately, our outside is a reflection of what&apos;s going on inside." When it comes to your skin&apos;s health, green tea hits all of the bases, including this all-important, more health-related one. A study published in the October 2011 issue of the journal "Biochemical and Biophysical Research Communications" found that EGCG inhibited melanoma in laboratory animals by inhibiting genes that activate inflammation. But drinking tea isn&apos;t the only way to take advantage of its skin-enhancing benefits. 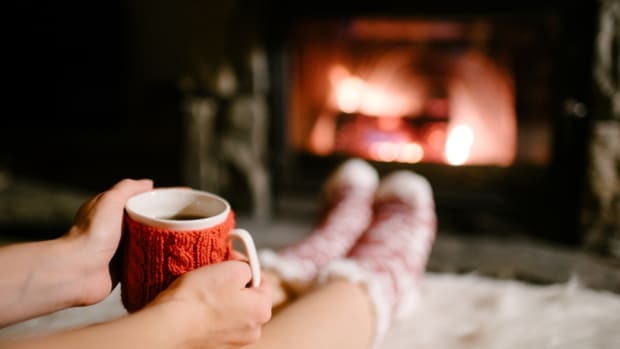 "The tannins can also help dark eyes and puffy eyes in the morning," says Goldstein, who suggests placing chilled, brewed teabags over each eye for about 15 minutes to take advantage of this. With green tea, you avoid the staining that black tea could lend to your skin, too. No, it’s not a magic potion, but green tea can help reverse or delay some signs of skin aging, such as wrinkles, according to a study published in Collegium Anthropologicum in September 2010. “The antioxidant benefits are great for anti-aging of the skin,” says Francis. “Green tea masks can be very good for cellular regeneration and for detoxification of the skin," she adds. While you’re waiting for the metabolism boost of green tea to kick in, it’s helpful to know that green tea can also reduce bloating and swelling, making you appear slimmer without ever shedding a pound. Green tea aids in digestion and increases hydration, both of which can reduce bloat. The catechins in green tea can also help with achieving thicker, longer hair, thanks to 5-alpha-reductase, according to Goldstein. "(The enzyme) blocks testosterone from turning into dihydrotestosterone (DHT), a more potent version of testosterone that can contribute to baldness,” she says. If you want to see these benefits, then you can&apos;t just pick any brand of green tea and start brewing. “The green tea from the grocery store just does not contain the health benefits, mostly because it&apos;s too old,” says Major. Buy fair trade tea. “Fair trade means the plants are taken care of, the people are taken care of, and the product is a higher quality,” says Major. Know your grower. “Smaller, more &apos;mom and pop&apos; style farms may not have the money or means to gain the term &apos;organic&apos;, but larger companies that do a lot of outsourcing and want to further promote their brand may benefit from the label. If you can, visit the farm!” says Goldstein. Consider the tea bag. 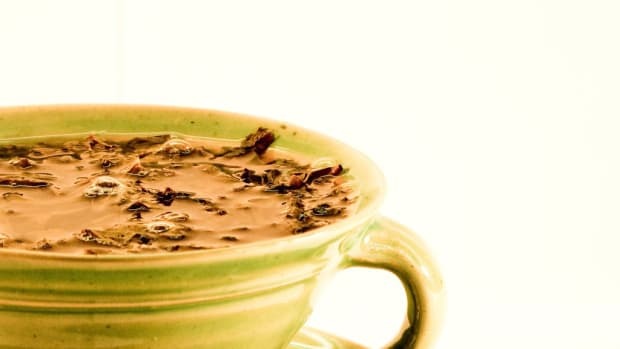 “While not always thought about, the tea bag is usually bleached, and contains all sorts of chemicals that can very well cancel out the benefits of the tea you&apos;re drinking- assuming that tea is not contaminated,” says Goldstein. Buy loose tea or tea from a company you trust. Avoid the black list. This list of common tea brands shows some of the ones that have been proven to have pesticides or other harmful chemicals. Best to steer clear of these and opt for something a little cleaner. As for how to drink it, our experts say anything goes – hot or cold, you’ll be reaping the same benefits. 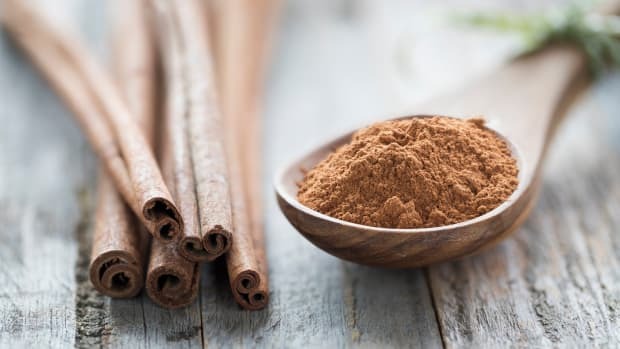 Just be sure to drink it plain – or with a small amount of stevia or honey – to avoid adding calories to the tea, and steep it long enough – 3 minutes, according to Francis – to bring out the maximum benefits of the tea leaves. Once you’ve brewed your green tea, you can drink it plain or you can try it in your favorite recipes. Here are just a few of ours, to get you started. 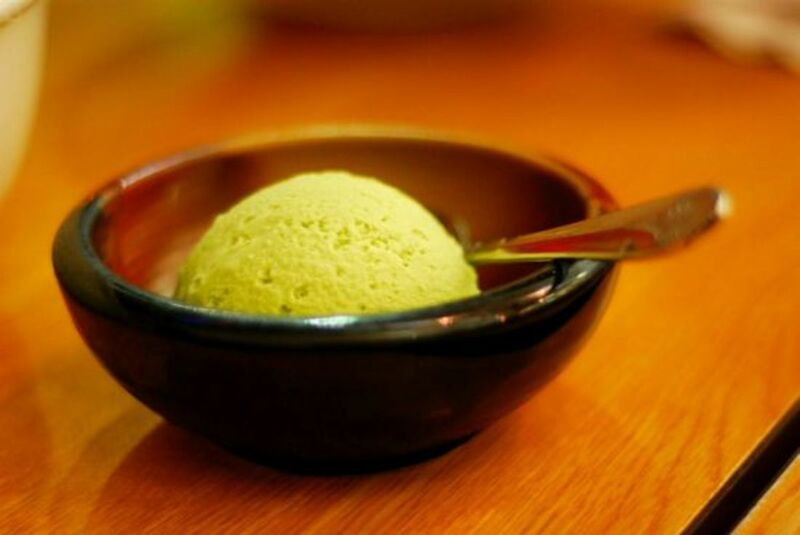 Green tea ice cream is a tasty treat often served in Japan. Use organic matcha tea powder for this delicious dessert. Did you know that green tea can be a delicious base for a soup? 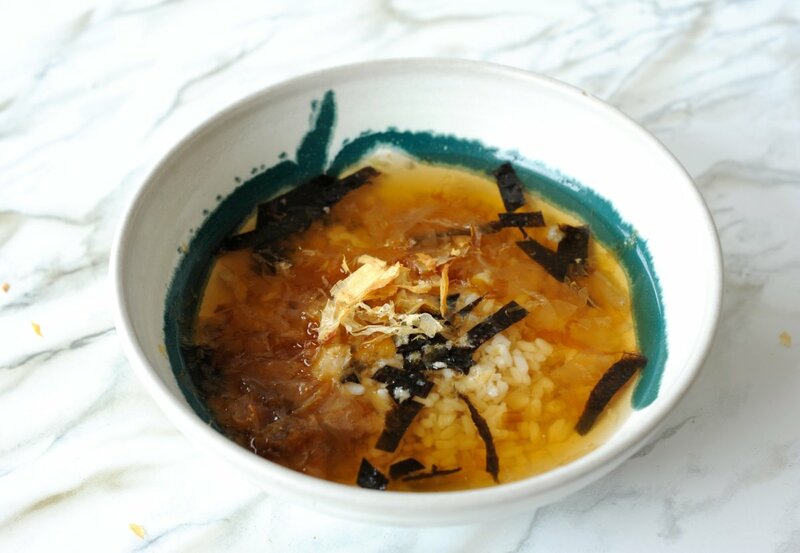 This Japanese tea and rice soup is traditionally eaten first thing in the morning for a boost of caffeine. It&apos;s a great way to use up leftover rice, too. While it doesn&apos;t really matter how you take your tea, there are two important things to consider: how much green tea to drink and when to drink it. Green tea, unlike herbal infusions, does contain caffeine, so it’s best not to drink it too late at night. “I prefer for people to drink it in the am or noon so that the caffeine does not cause insomnia,” says Francis. As for how much green tea you drink, this will depend quite a bit on the benefits you hope to reap and your current health. “One to 2 cups is great to have daily, however one study showed that effective protection against heart disease (especially in women) was achieved at 3 or more cups per day,” explains Goldstein. This is particularly worrisome for women who are pregnant or may become pregnant, so be sure to check with your doctor before you begin consuming green tea. 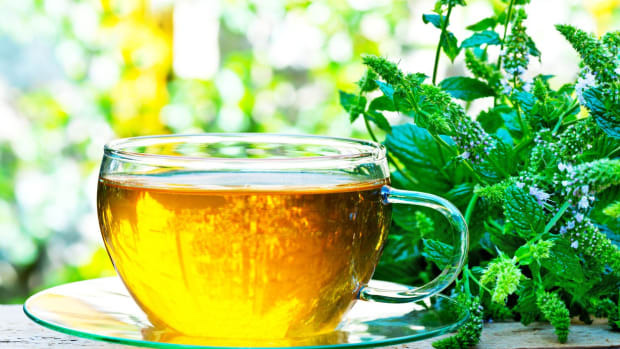 Major also recommends that anyone on blood thinners, blood sugar medications, or medications that regulate blood or heart in any way ask a doctor before adding green tea or any tea to a diet regimen. Adding green tea to a healthy diet and exercise regimen, featuring whole, nutritious, organic foods is a great way to boost your health and take advantage of these fantastic benefits of drinking green tea. Did we miss any of your favorite green tea benefits? Let us know on Facebook or via Twitter @organicauthorit.